All Photos by Larry Stern. In the wake of last year’s Housecore Horror Film Festival tragedy involving the demise of Corey Mitchell, nothing rang more true in 2015 than the old adage, “The show must go on!” And as the show went on I accepted the bittersweet truth that HHFF is simply too much for one mere mortal to devour in its entirety. Along with this overindulgence of horror and extreme music, there was a certain sick pleasure derived from knowing the freaks were taking over the touristy San Antonio Riverwalk for a weekend. Once again I encountered many of the usual Texas outlaws unstable enough to partake in such hellish festivities. And with the help of Maryland Deathfest co-founder, Ryan Taylor, HHFF 2015 seemed to draw a larger, more diverse audience than before. 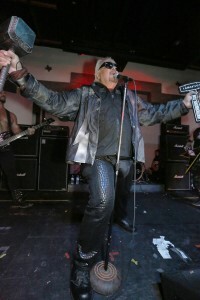 This may have been attributed in part to the change in locale, as San Antonio is considered a more “metal” city than Austin depending on who is asked. 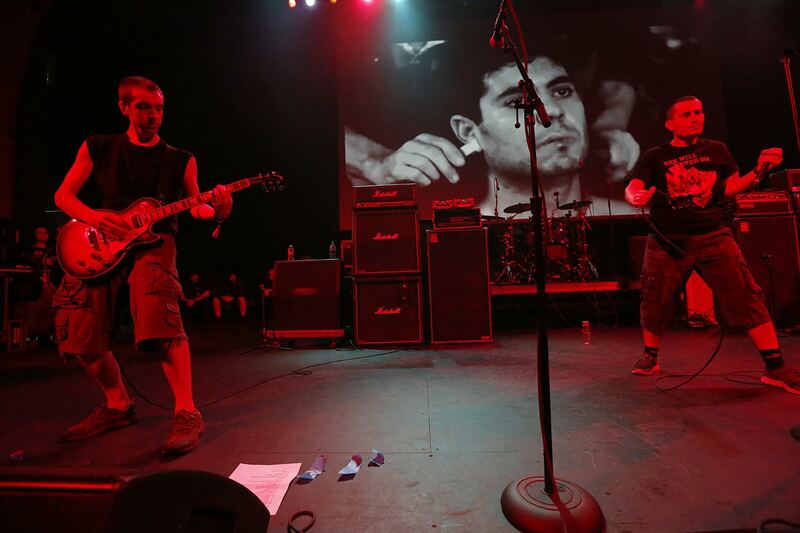 It doesn’t make sense to compare HHFF and MDF, as the intent and scale are different for both festivals, but the commonality is that both events were engorged with entertainment and void of a dull moment. 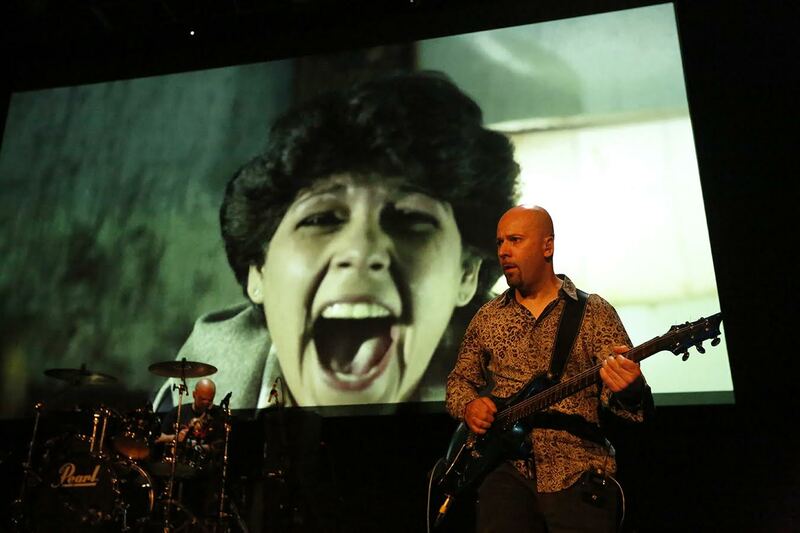 In an unexpected twist, the influence of HHFF was later visible on the MDF 2016 lineup which is to include Claudio Simonetti’s Goblin and Negative Approach. Minus the grossly overpriced beers, The Aztec Theatre suited the festival quite adequately. The tomb-esque ambiance of the venue seemed to add to the theme of death. The balcony seats were a greatly appreciated convenience from which to behold in panoramic vision King Diamond’s phantom opera, and to comfortably watch Goblin’s live score grand finale. Otherwise, the risers on the floor allowed options for visibility and rubbernecking of the pit. As for The Korova, an unexceptional but cozy dive, it was a bit of a trek in the unusually bone chilling night air. My accomplices managed to drag me there for Thor. 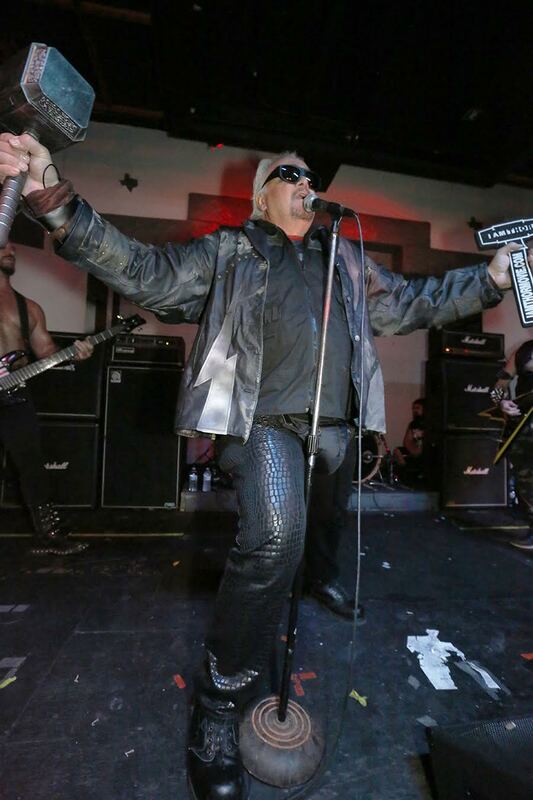 Thor was hands down the most fun we had seen on stage in decades. A childhood fantasy revived from the 80’s like an unearthed He-Man action figure, Thor hurled his thrash metal like a thunderbolt and packed the Korova. 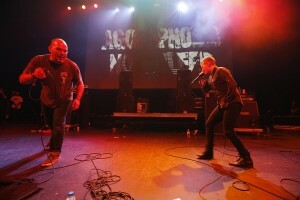 Phil Anselmo joined on stage and even Joel Grind was in attendance. 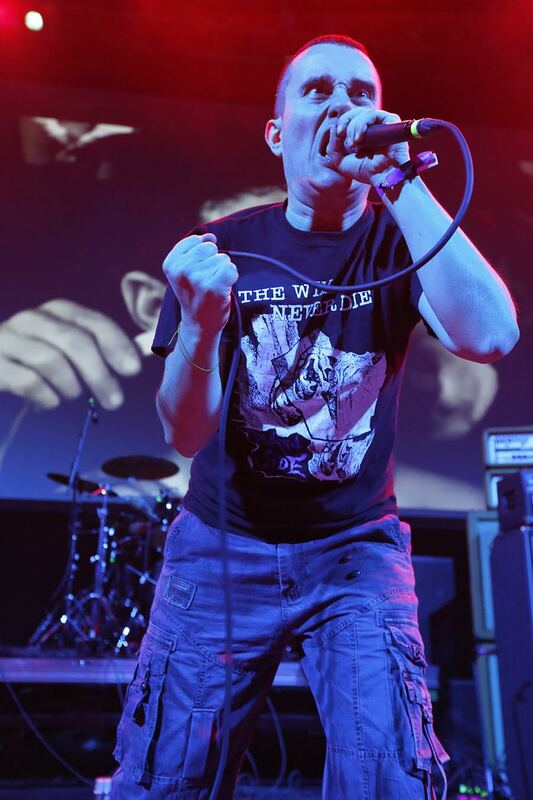 At the risk of sounding repetitious of my last two HHFF reviews, I will not dwell on the Housecore vets such as Superjoint, Author & Punisher, EyeHateGod, Child Bite, Warbeast and Honky although they are THE reason I go to HHFF. For those that have not witnessed these disciples of Housecore in action, at this point no excuse is valid. They all delivered as expected. Jimmy Bower and Joey Gonzalez were certainly earning their keep, playing for two to three bands each. 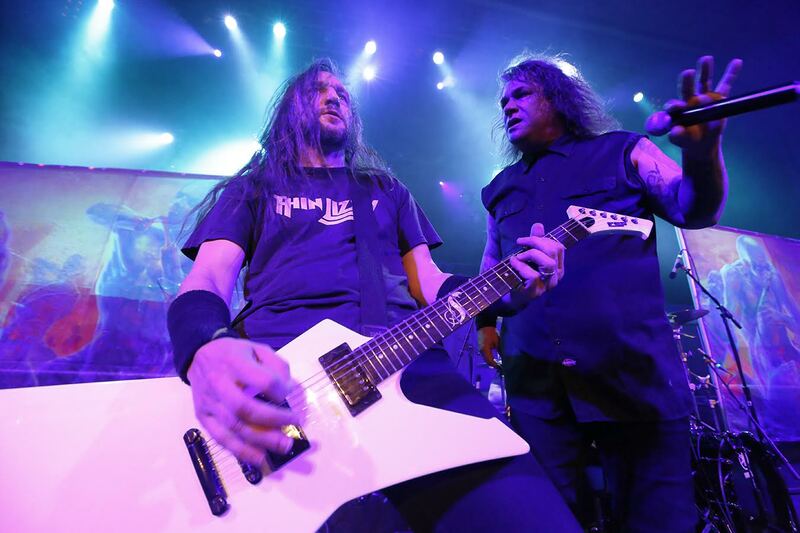 The headbang inducing power of Exodus has stood the test of time even through various lineup changes. 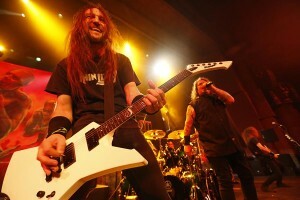 I was a disappointed to learn that Gary Holt, due to obligations with SLAYER, would not be present. 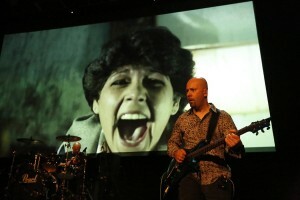 His fill-in, Kragen Lum, upheld the Exodus thrash standards so well that he was mistaken for Gary by several onlookers. 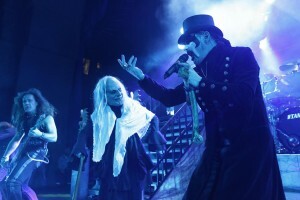 Oc-cult classic, King Diamond’s performance of the complete Abigail was truly the opus of day one of Housecore. 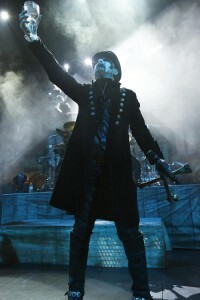 King, masked in corpsepaint, sounded incredible in the Aztec acoustics and looked fit as a Victorian fiddle. 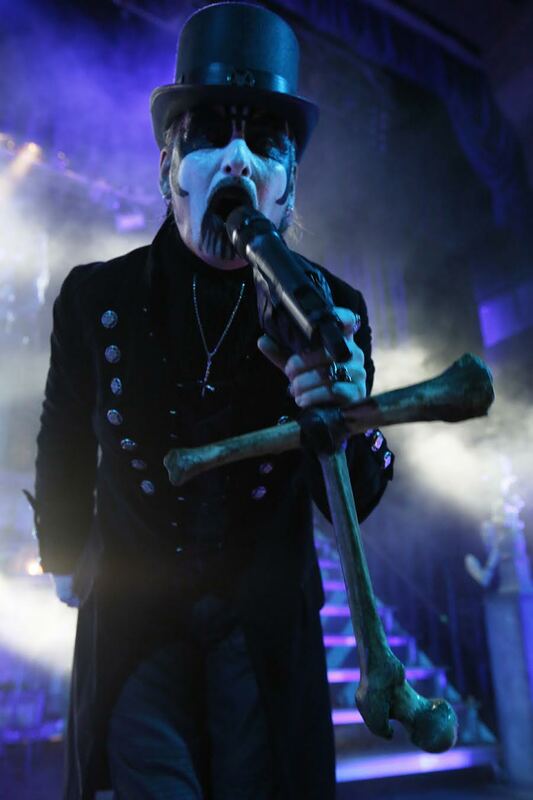 The theatrics are what brought King Diamond to the next level he shares with the likes of Alice Cooper and Kiss. 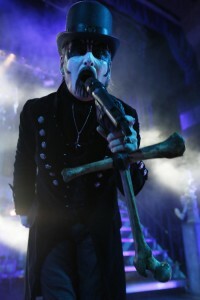 Hungarian singer and wife of King Diamond, Livia Zita, was perfectly cast to play both the part of Abigail and Grandma. As for ambiance, the bones, flaming coffin and inverted crosses were the bloody icing on the cake. This year’s HHFF musical lineup covered a wide spectrum of music incorporating more punk (such as pioneers Negative Approach, Poison Idea and Dropdead) and avant-garde musicians (Agoraphobic Nosebleed) than I’ve noticed in the previous years. 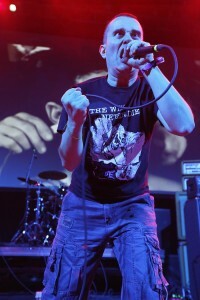 Katherine Datz, the self-proclaimed mentally ill vocalist of drum machine band Agoraphobic Nosebleed, belted out lyrics with tortured agony. Yob’s trance inducing doom provided some respite from the overall aggression. Synthwave duo, Zombi, incited colorful auras of sound that may have been visible on an acid trip or to those with an overactive imagination. Cripple Bastards of Asti, Italy wretched all over the bubbly reputation of their region. 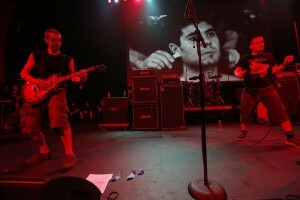 Their brand of grindcore was not for the faint of heart but obviously complementary to HHFF. Two of my personal favorites this year, were the back-from-the-dead, Autopsy, who fed us the entrails of brutality we craved. Drummer/Lead Vocalist, Chris Reifert’s mother should be proud of his multi-tasking talent and quick wit. 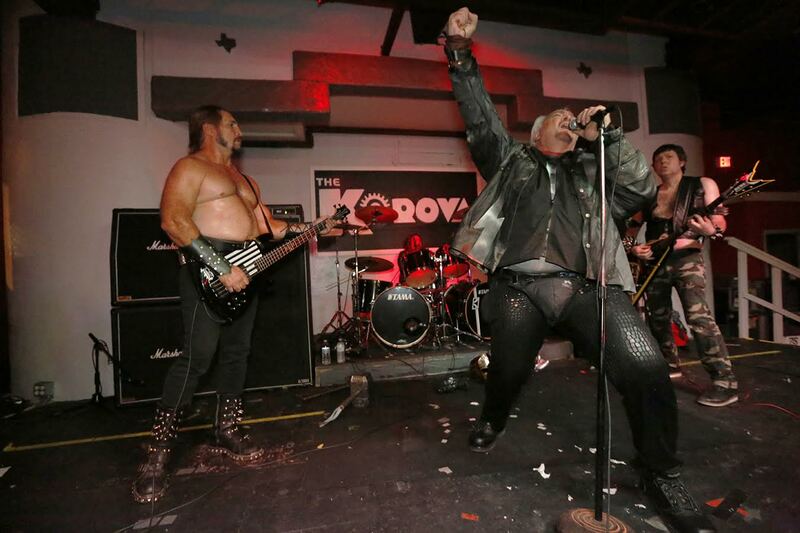 And there was Nola’s Crowbar who sounded as powerful as a primordial Neptune, shifting the swamp tides with waves of heaviness and proving that Crowbar reigns as its own entity. 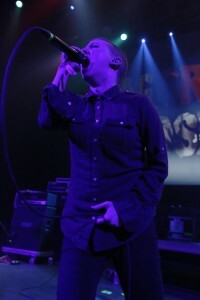 The films were shown at the host hotel, San Antonio Holiday Inn Riverwalk, with the exception of Claudio Simonetti’s “Dawn of the Dead” to Goblin’s live score, and several music videos, such as King Parrot’s “Home Is Where The Gutter Is.” These were shown at The Aztec Theatre. 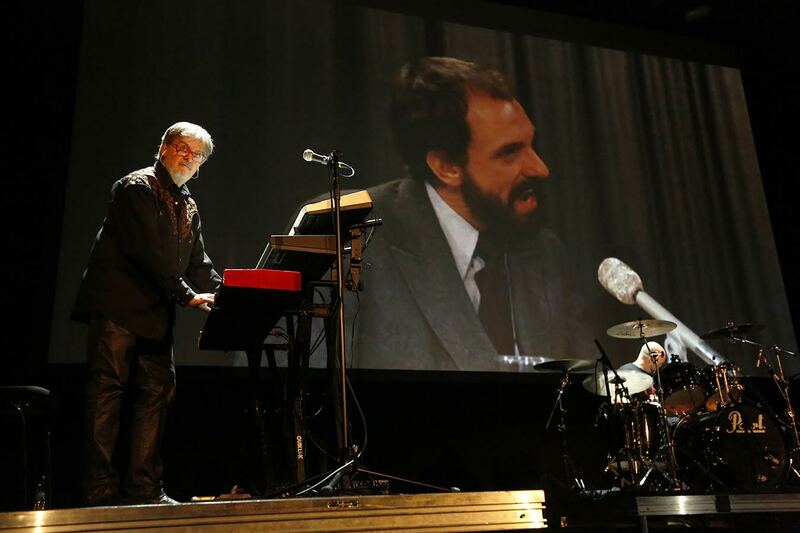 There were technical difficulties synching the verbal audio of “Dawn of the Dead,” leading off to a rough start. Eventually the kinks were ironed out and watching the retro zombie attack to live music was as palatable as brains to the undead. My movie source, Mr. X, said the HHFF 2015 movie to mention was the 1977 film “Shock Waves” with Peter Cushing featuring Nazi Zombies. He also enjoyed several Lucio Fulchi films, several Thor films and said of his meeting with actor Bill Moseley, that he was cool as hell. He was intrigued and informed by the Q& A with Alan Ormsby for “Children Shouldn’t Play with Dead Things.” The most buzz over a newer movie went to “Hairmetal Shotgun Zombie Massacre,” the 2014 film by Joshua Vargas and “A Black Metal Viking Biker Film with Zombies”. The verdict…Zombies are still in. Not that I declared this fest as cursed, but a global atrocity was unfolding as we indulged ourselves known as the terrorist attacks on the Bataclan in Paris. As people expressed their shock and dismay it became clear how lucky we have been to enjoy decades of live music in freedom and without the threat of terrorism. Even such extreme music calms us as if quelming our primal need for violence. That’s why it is so important to have this form of release. The HHFF is the perfect outlet and I will continue to partake as long as it is offered. This entry was posted in Uncategorized and tagged A Black Metal Viking Biker Film with Zombies, Agoraphobic Nosebleed, Alan Ormsby, Alice Cooper, Author & Punisher, Autopsy, Bataclan, Bill Moseley, Child Bite, Chris Reifert, Claudio Simonetti, Cripple Bastards, Crowbar, Dropdead, Exodus, Eyehategod, Gary Holt, Goblin, Hairmetal Shotgun Zombie Massacre, Honky, Housecore Horror Film Festival, Joshua Vargas, Katherine Datz, King Diamond, King Parrot, KISS, Livia Zita, Lucio Fulchi, Maryland Deathfest, Negative Approach, Paris attacks, Phil Anselmo, Poison Idea, Riverwalk, San Antonio, Shock Waves, Slayer, Superjoint, The Aztec Theatre, The Korova, Thor, Warbeast, Yob, Zombi, Zombies. Bookmark the permalink.